Apples of Gold Jewelry's silver Celtic spiral wedding band ring combines sterling silver and a traditional Celtic spiral design to create an original wedding band that both men and women will fall in love with. Shown in the 8mm width, this .925 sterling silver spiral wedding band is also available in widths from 5mm though 8mm. The inside of the ring features a comfort fit design, while the outside features an appealing spiral design, which covers the band the entire way around. 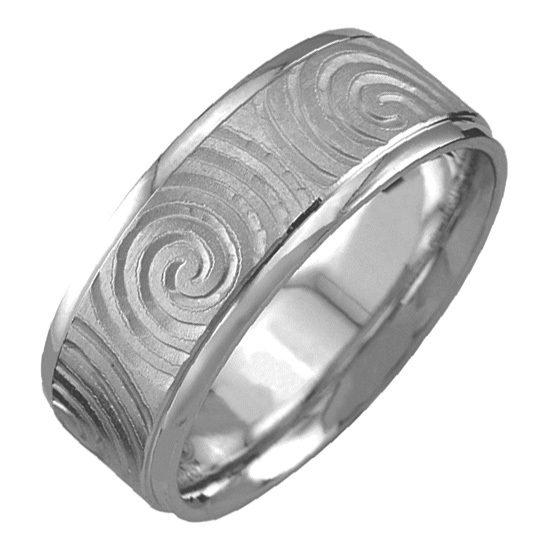 We guarantee our Silver Celtic Spiral Wedding Band Ring to be high quality, authentic jewelry, as described above.